"We can detect mutations in patients' bone marrow cells three weeks after the transplant and based on that predict the likelihood of their relapse," says Zhaolei Zhang, Principal Investigator in the University of Toronto's Donnelly Centre for Cellular and Biomolecular Research and a professor in the Departments of Molecular Genetics and Computer Science, who co-led the study. 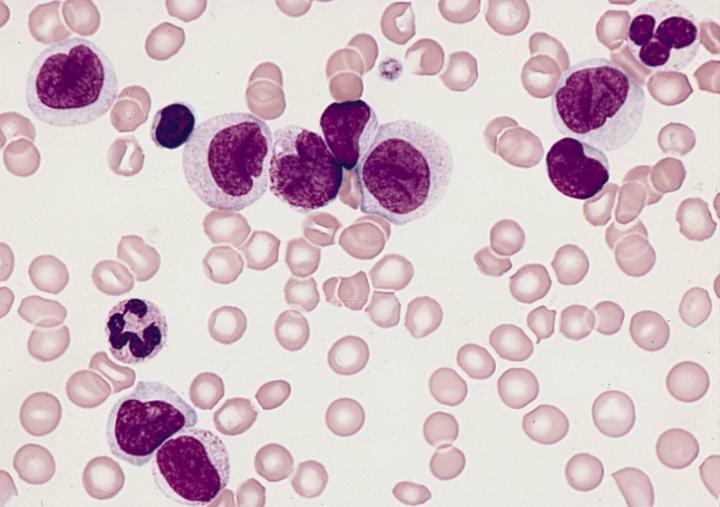 AML is the most common type of leukemia in adults, comprising about one quarter of all cases. It affects the bone marrow, the spongy tissue inside the bone where all blood cells are made. The disease stems from an overproduction of immature blood cells which over time outgrow normal blood cells. It's a type of cancer which starts suddenly and progresses quickly, requiring urgent treatment. Treatment involves chemotherapy to wipe out the diseased bone marrow, followed by a bone marrow transplant to reconstitute the patient's blood with cells from a healthy donor. While most patients go into remission after chemotherapy, about one third will relapse three to six months after receiving the transplant. "In AML, it is very important to predict who is going to relapse, "says Dennis Kim, of the Princess Margaret Cancer Centre, at the University Health Network (UHN) and Associate Professor in U of T's Department of Medicine and a co-leader of the study. "If we are able to identify someone who is at high risk of relapse then we can do therapeutic intervention earlier which can improve their outcome in the long run." "With our method, not only can we say that this patient will relapse, but we can also say their relapsing clone contains certain mutations which can be a target for therapeutic compounds that can be used to treat the patient," says Kim. Data analysis required Zhang's team to develop new computational tools to parse the leukemia-driving mutations from the sea of sequence data. This allowed them to identify low residual mutation frequency of 0.2 per cent to use as a surrogate marker for giving a personal chance of relapse. "Patients who had a mutation burden greater than 0.2 per cent were four times more likely to relapse than patients who had a lower burden or no mutation burden," says TaeHyung (Simon) Kim, a computer science graduate student in Zhang's lab who analyzed the data along with Joon Ho Moon, from Kyungpook National University Hospital in Korea, and Jae-Sook Ahn, from Chonnam National University Hwasun Hospital in Korea, who is visiting Zhang's lab as visiting professor.